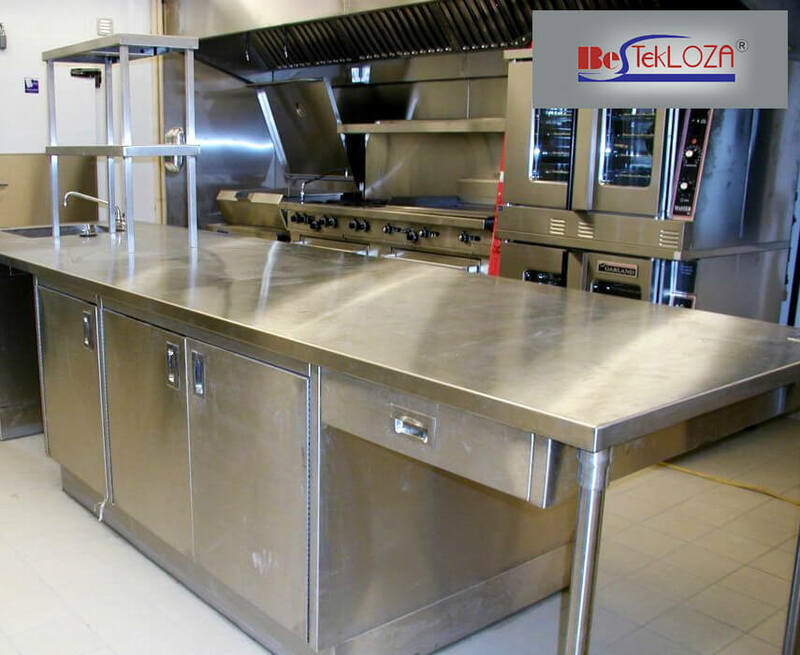 It is important that you get the particular worktop for your commercial kitchen thus; commercial kitchen manufacturers put a closer focus to get the exact kind of bench tops that makes the work in the commercial kitchen faster and also easier. There are different kinds of bench tops available in the market and it is important that you choose the best kind of bench tops that not only will serve the purpose but also gives the kitchen a quirky look. While as said that different kind of materials is used to make the counter tops like marble, wood as per the Turnkey kitchen projects. But, it is advisable that the best one to choose among the all is the stainless steel. There are many reasons for saying so. As a contrary to popular belief, there is much another kind of options available to complete your entire kitchen process. If you have a particular kitchen theme and want to incorporate something different then you can easily customize your stainless steel bench top with the aesthetics of the entire restaurant. Another reason stainless steel bench tops are preferred over any other kind of material because these particular type of metal can easily be moulded into any shape. Thus, the material makes it easier to actually work in any type of kitchen. Moreover, superior quality of stainless steel lasts for long compared to other materials. It is considered to be more durable as generally it is made of iron, carbon, and alloy. This also ensures that the equipment will not get rust or will remain corrosion free and thus, absolutely cost effective. As generally this equipment is made of very high quality thus, it not only be very easy to use but also can be cleaned very quickly as well. Due to of this reason, many of the commercial kitchen owners prefer to use this material. Generally, these kinds of bench tops are not- porous, resistant to heat and also resistant to bacteria. As stated that, the bench tops are made of superior quality steel so the cleaning procedure is very easy. Moreover, these bench tops also have the power to retain heat and any kind of dust that prevails in the kitchen so owners prefer to install such materials in the kitchen because of its notable advantages.